Australian startup, Airtasker, is keen to expand out of its home country into Southeast Asia, which it says hasn’t been touched by large competitors yet. The year-old startup provides job matching for freelancers and employers, similar to what oDesk and Elance do. For its first steps outside of Australia, its first port of call will be Singapore, where it wants to hire two country managers. Airtasker joins a scene that already has a few huge competitors. oDesk, for example, has been around since 2005. Last year, the company raised $15 million, bringing its total funding $45 million to date. The site processes $300 million in jobs on an annual basis. Some early oDesk employees also founded Rev.com, which in March announced $4.5 million in Series A funding. Another big competitor, Elance, raised $16 million in funding early last year as well, as its business has continued to grow in the past two years. 650,000 new job postings were listed on the site in 2011, it said. But big as these sites are, they don’t seem to have made a huge impact on freelancers in Southeast Asia. A quick search for freelancers in Singapore on oDesk showed 248 listings out of 742,113. Hong Kong showed a dismal 84, Kuala Lumpur 7 and Bangkok 31. While it appears indeed untouched by the large sites, it could just mean that the freelancing scene is a lot less vibrant in Asia, with the majority of workers preferring full-time jobs. It could also be that fewer freelancers rely on online matching sites to get their jobs, as well. Airtasker’s founder and CEO, Tim Fung, said temp jobs in the region are less organized into verticals. He said some common jobs in Asia include handing out flyers at a train station, or a one-day PA. These can’t really be categorized by industry, and Airtasker has organized its job ads and job seeker profiles in a broader fashion, so that more matches can be made by both sides. The bulk of Airtasker’s workers, for now, are based in Australia, and its upward trajectory does indicate some sort of pent-up demand on the freelancing scene. Airtasker now processes about $120,000 worth of jobs per month. Fung hinted that Airtasker will announce a partnership with a global jobs network soon. “I think that’s an indication that the larger ‘mainstream’ job scene is taking part-time job listings more seriously,” he said. The site will also roll out a new design in about a months’ time, with a “responsive design” adapting to mobile interfaces when accessed through tablets and phones. This is going to make a lot of sense as it expands into Southeast Asia, where mobiles are more popular in emerging markets compared with PCs. About 40 percent of users accessing Airtasker’s site are already coming in on mobile devices, said Fung. 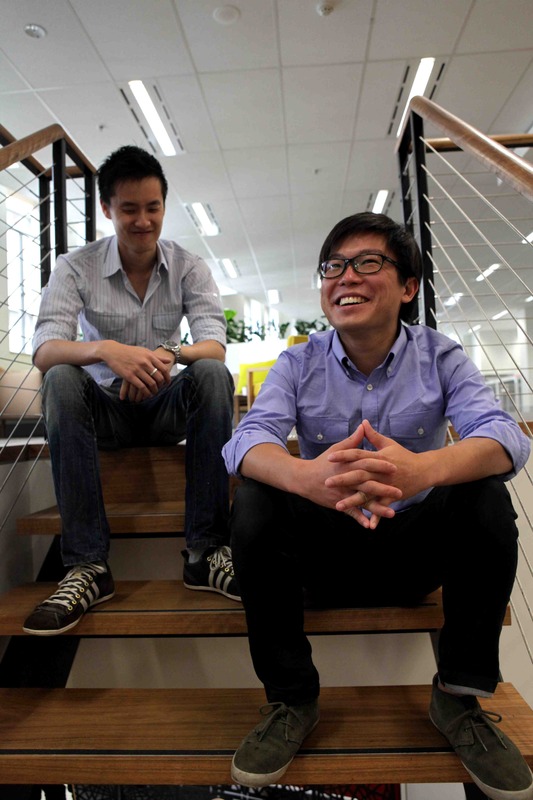 Airtasker has seven people, including co-founders Fung and Jonathan Lui. It’s raised $1.5 million so far.